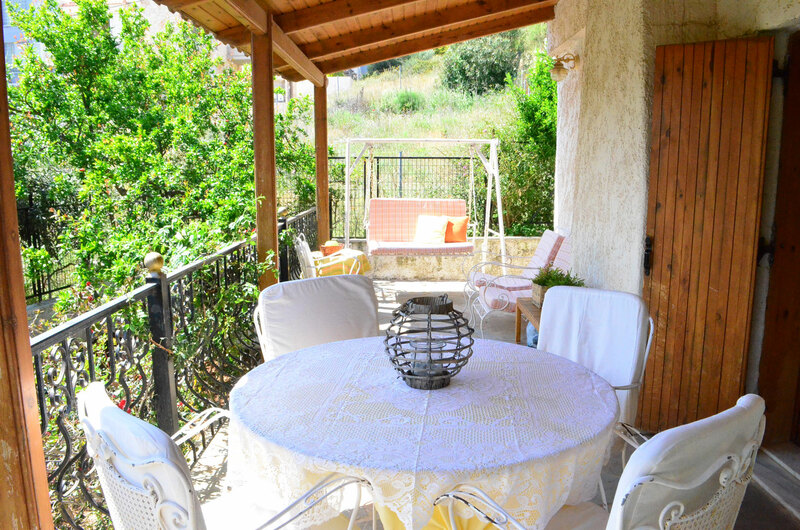 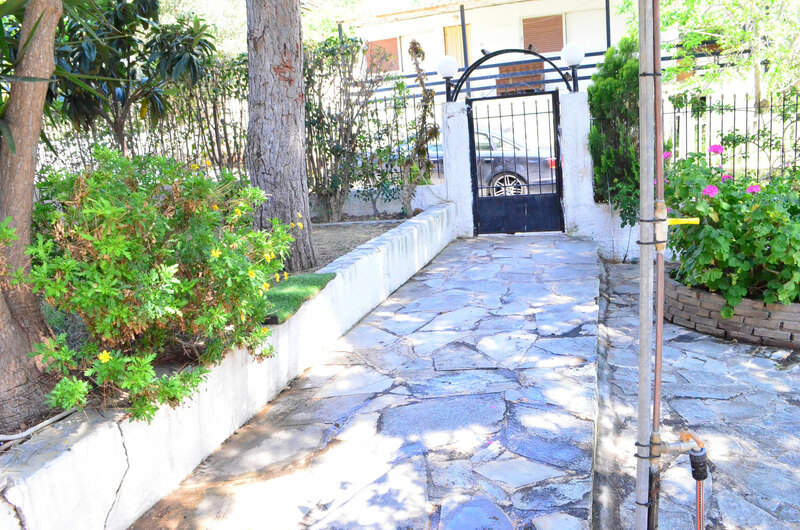 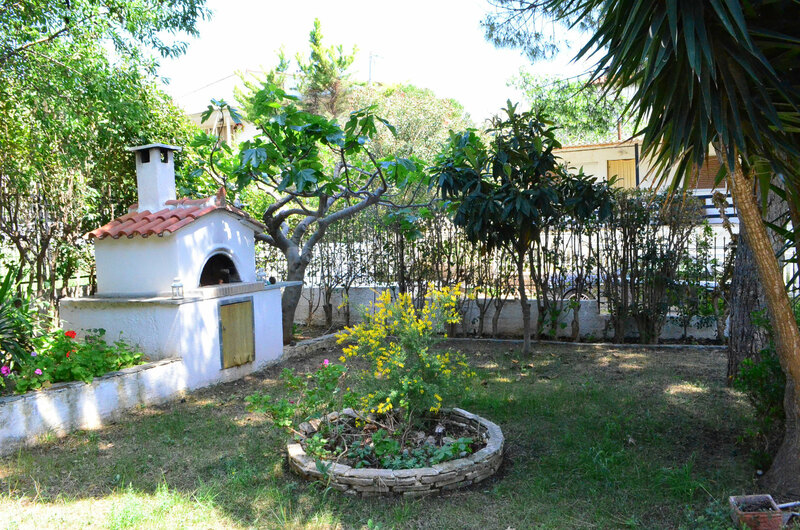 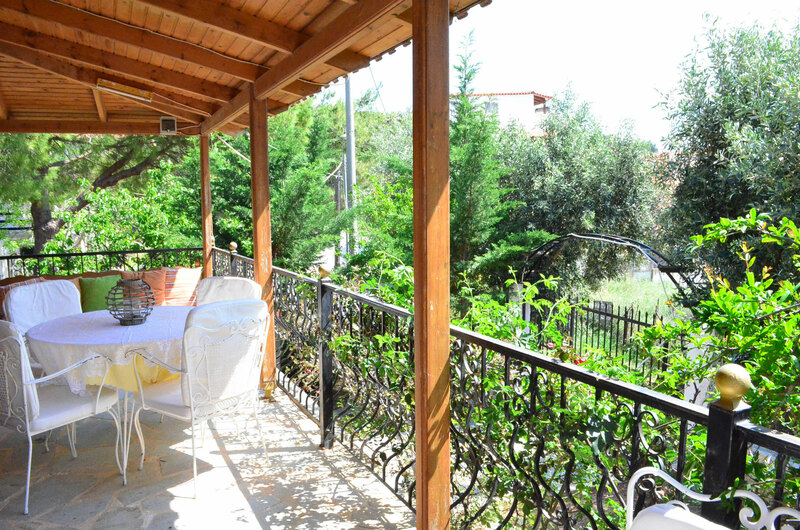 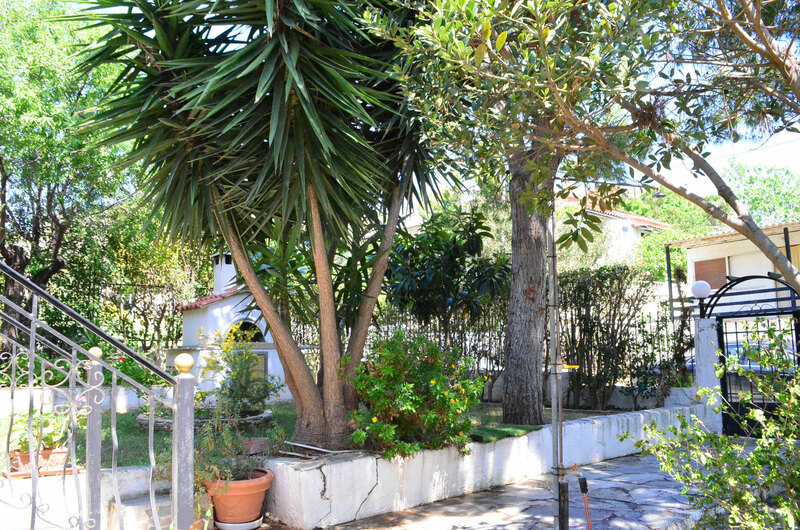 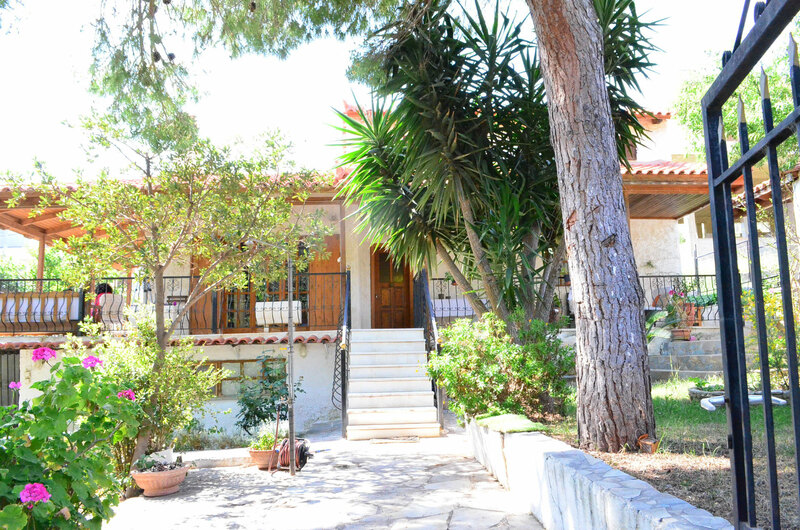 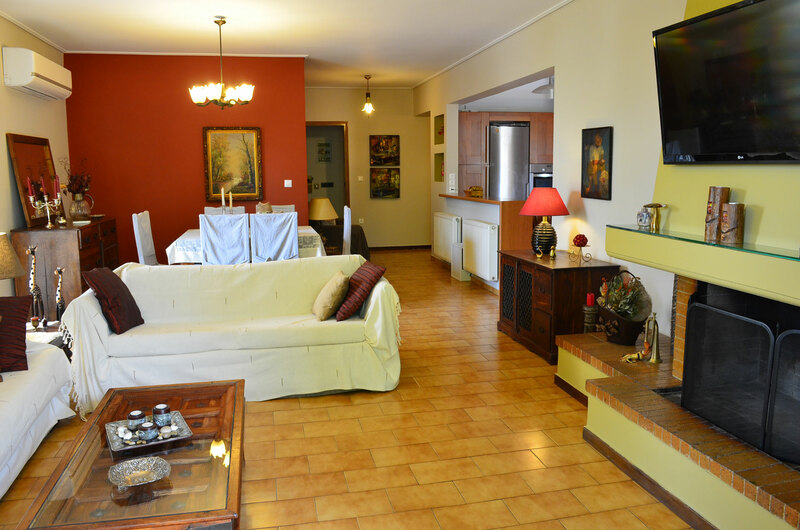 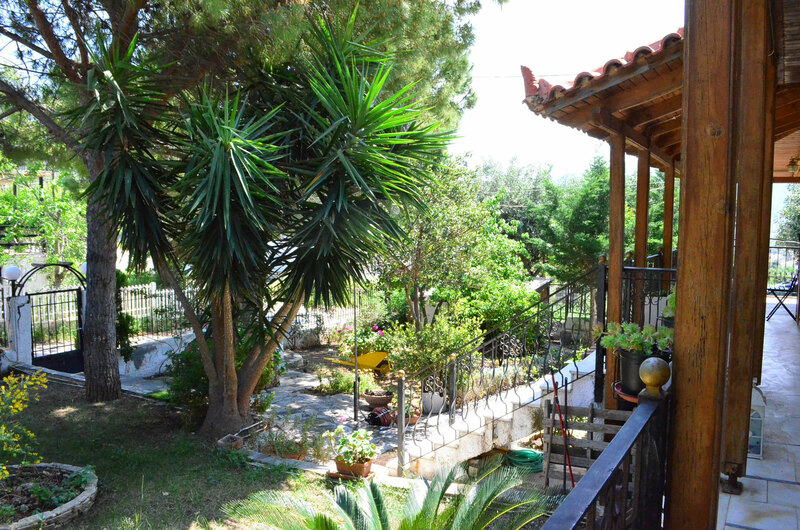 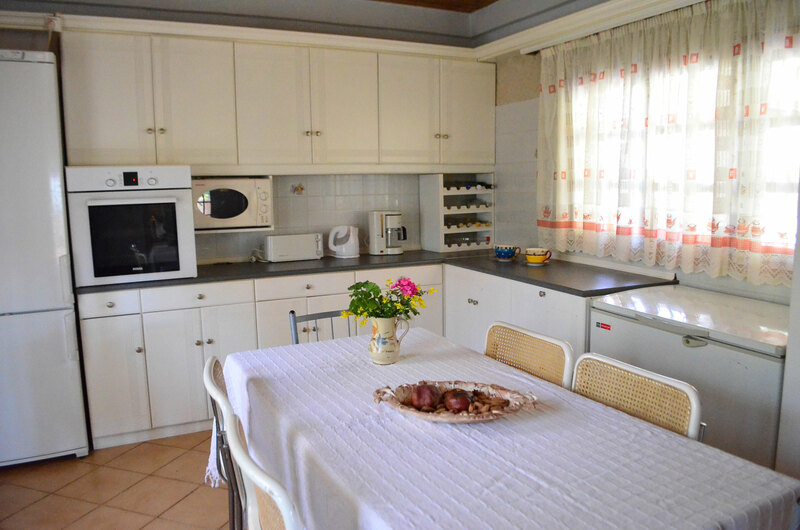 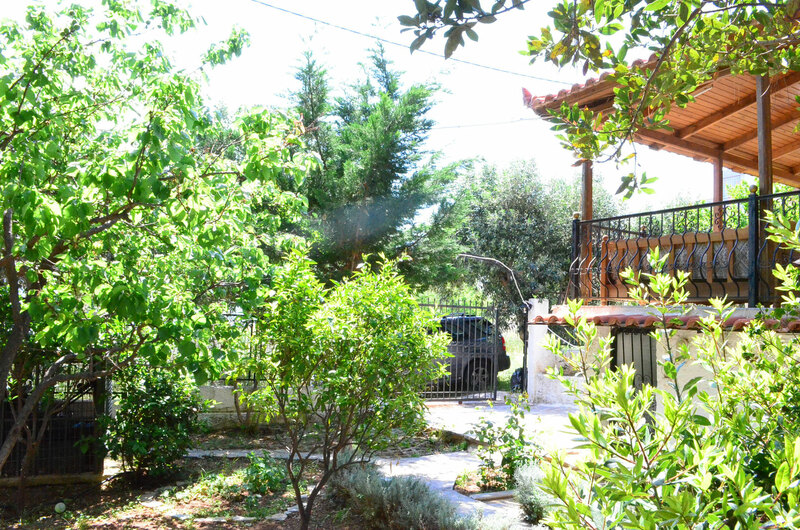 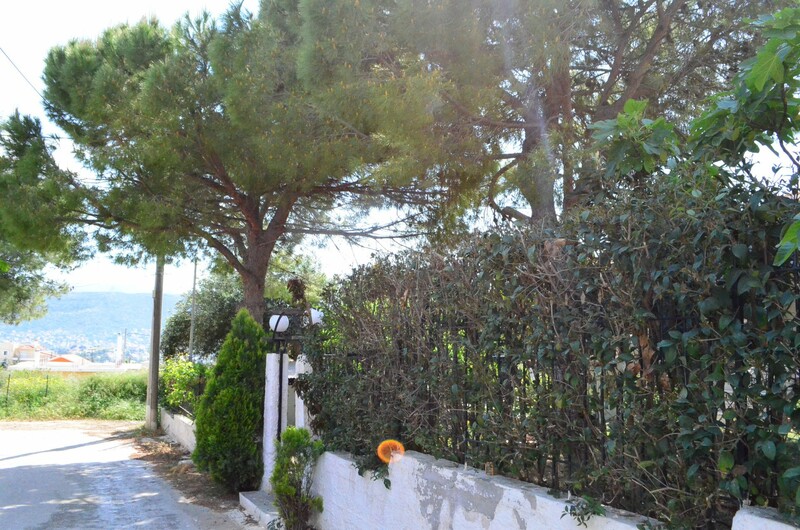 (#10) Porto Rafti, Villa-Cottage, 2-bedr, Great Garden, beach in 500m, 4-8 p.
A lovely cottage with a great garden in Porto Rafti, one of the most “in” vacation areas of the Attica peninsula, 12kms from the airport (10′) and 40 kms from the center of Athens and the sites (30′). 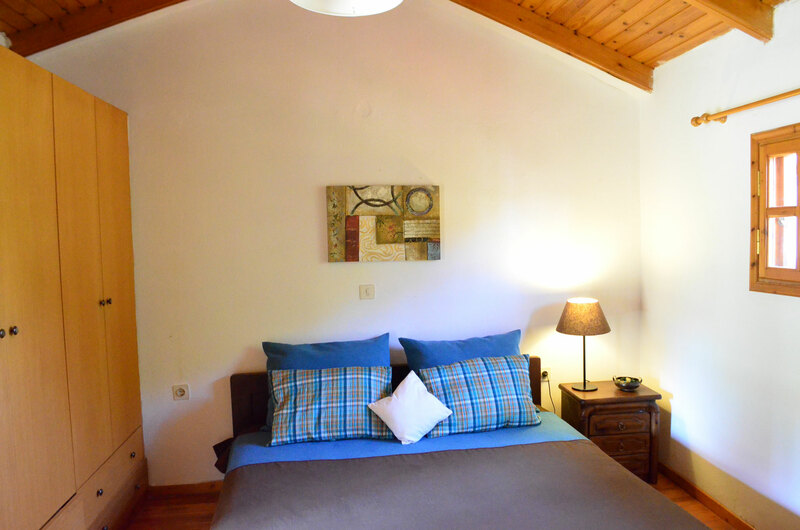 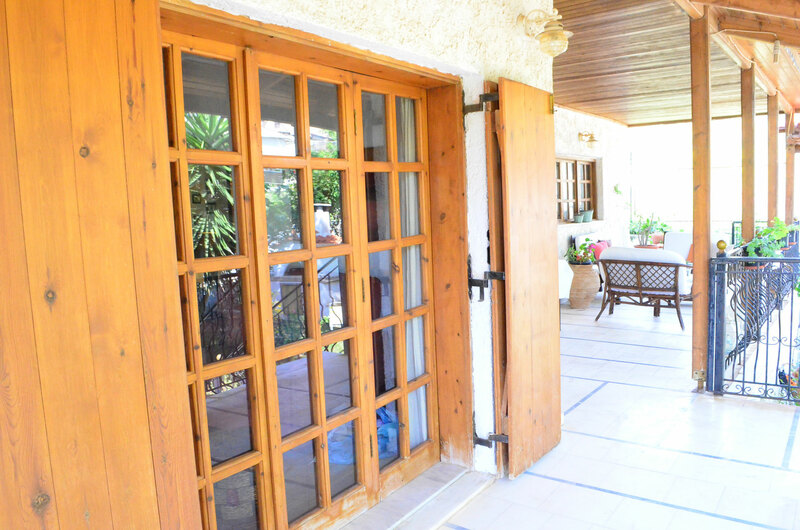 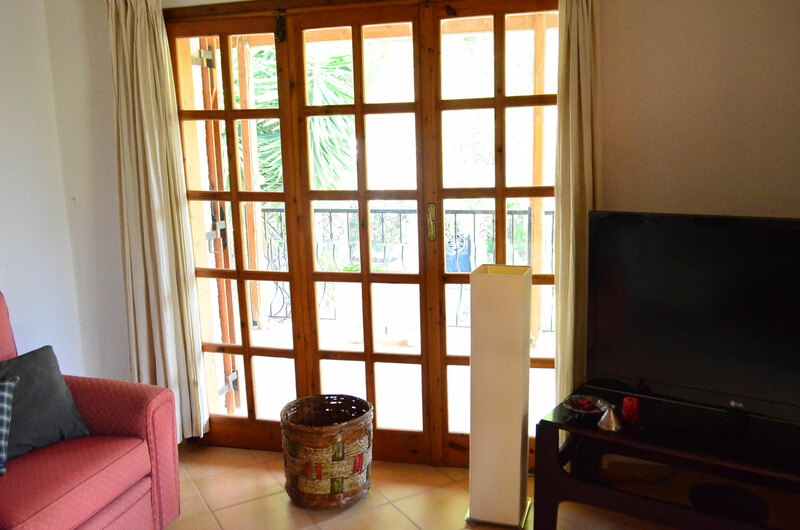 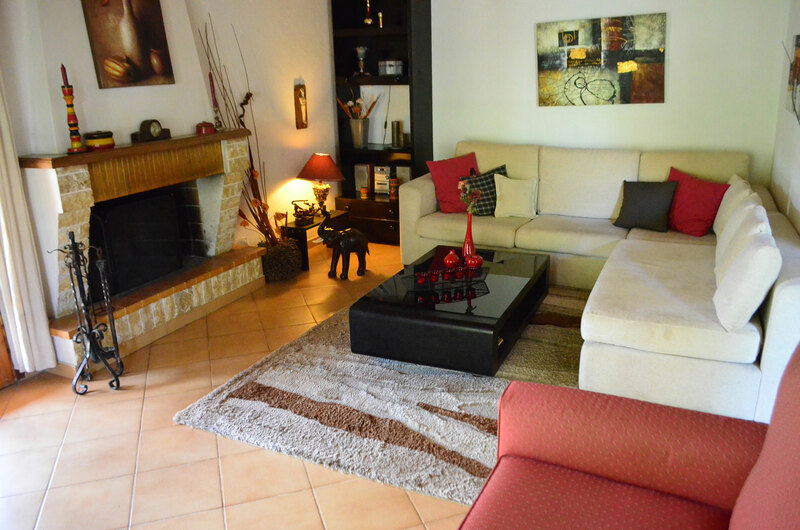 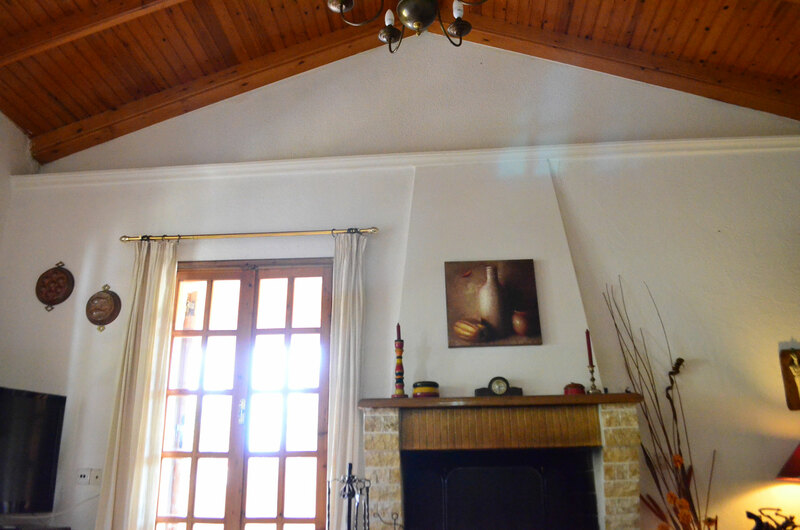 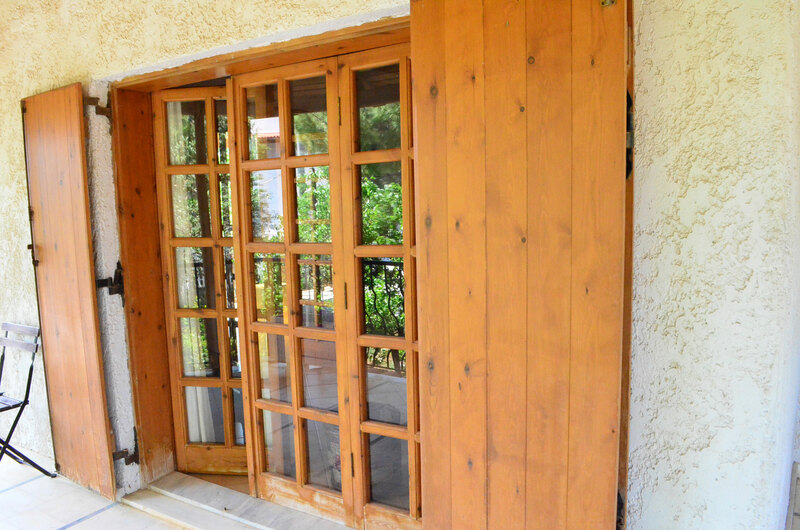 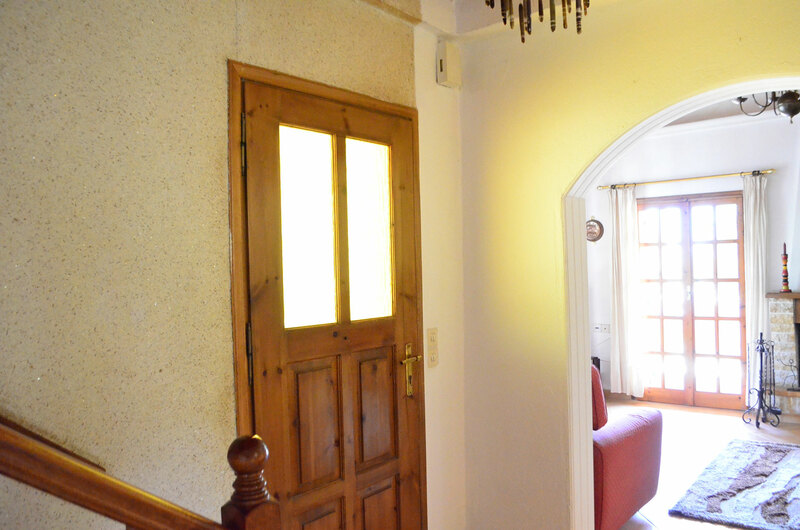 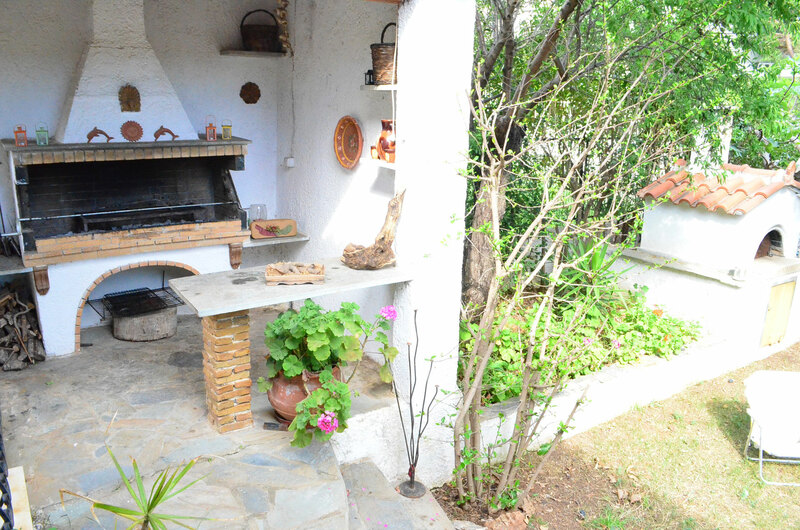 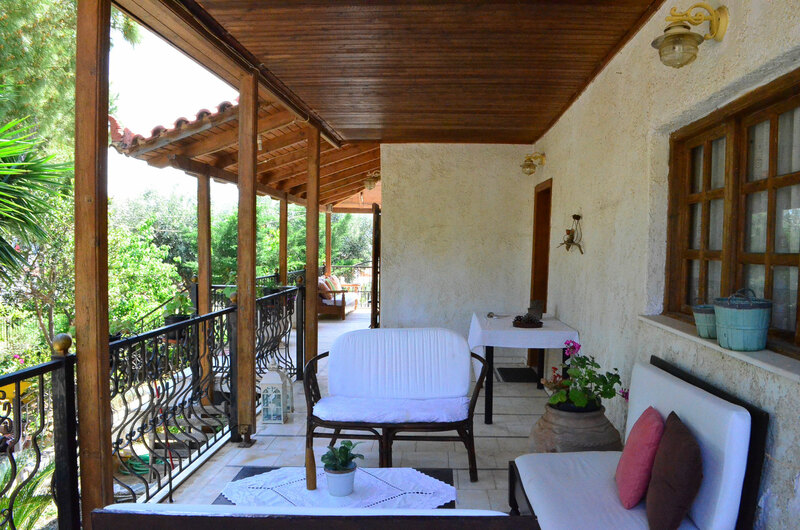 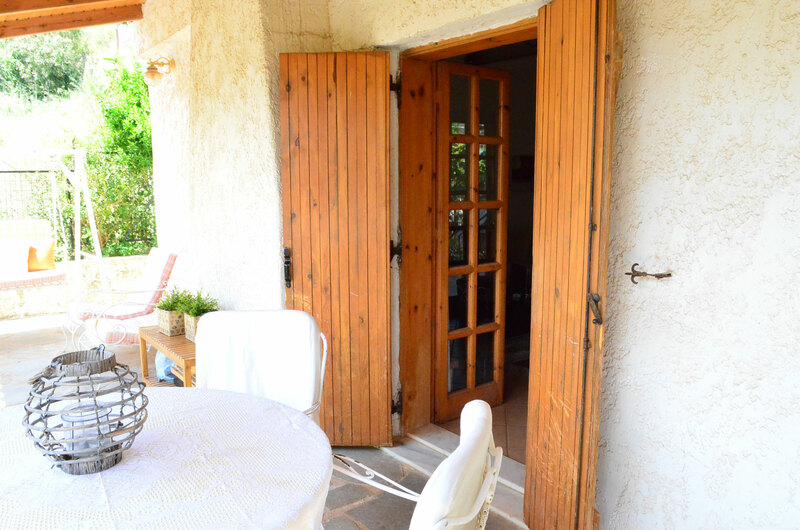 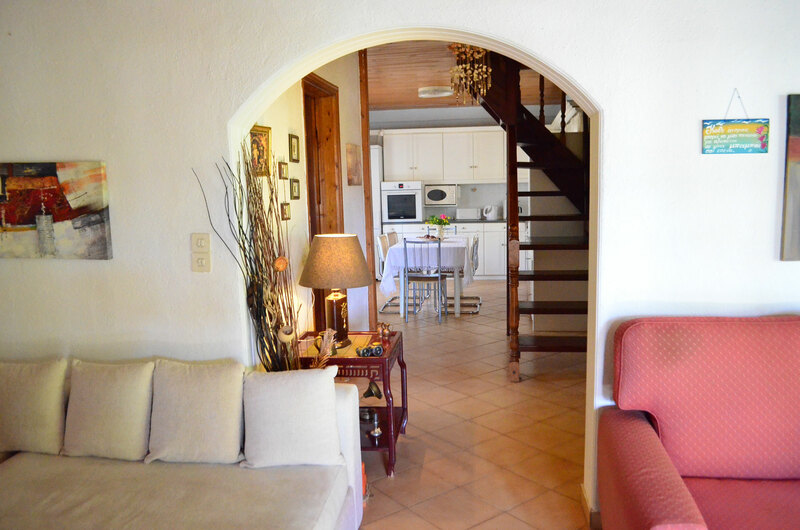 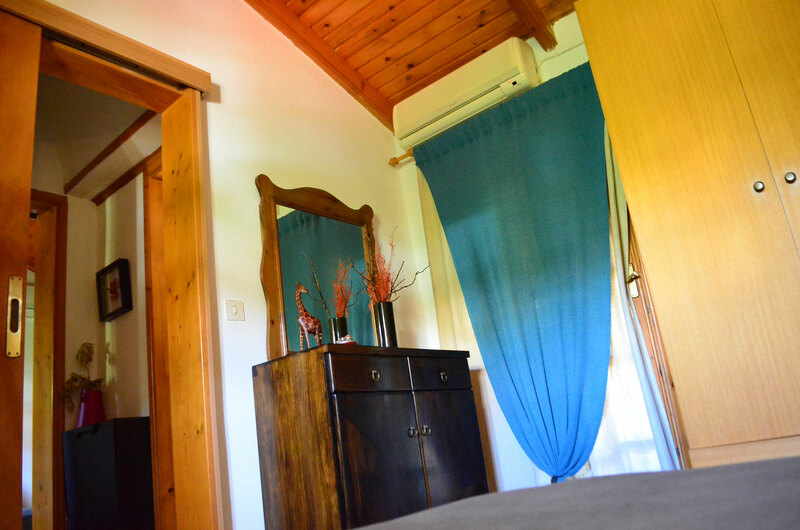 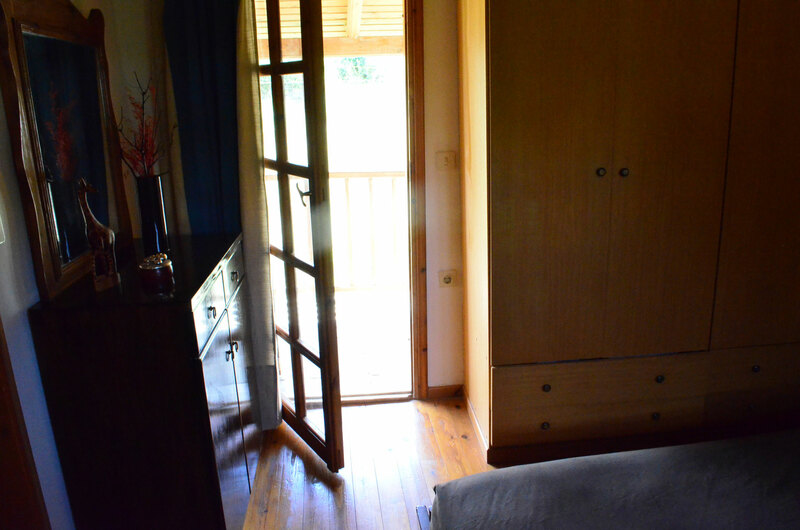 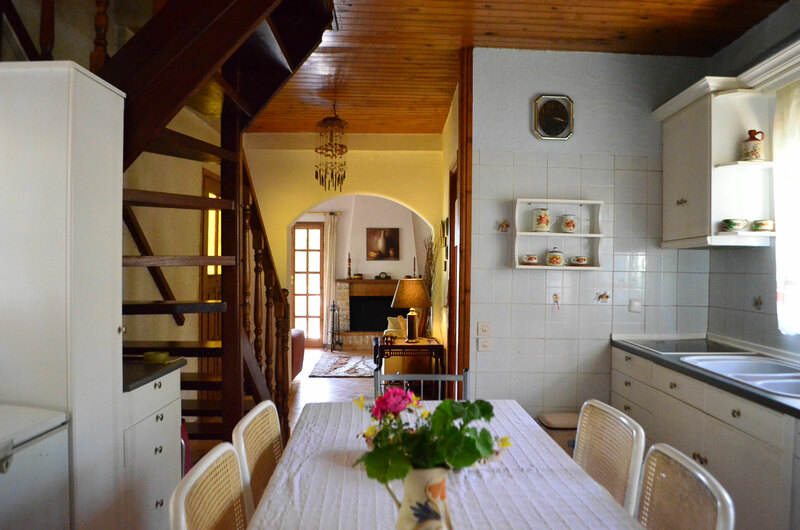 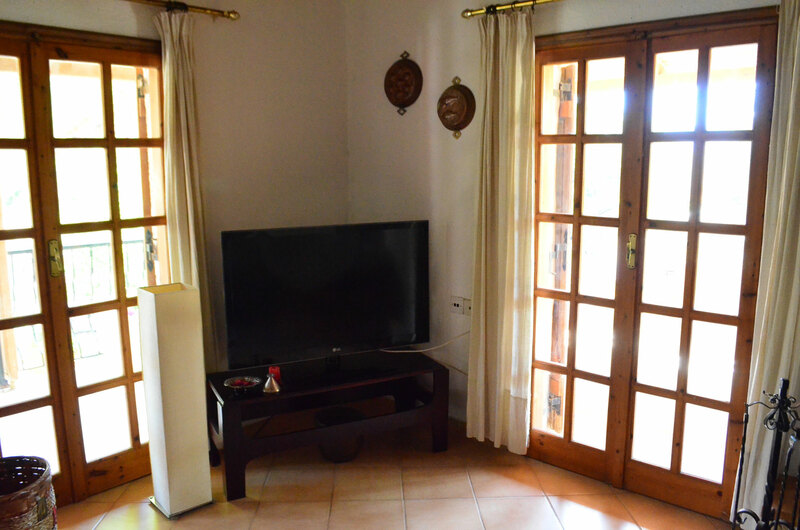 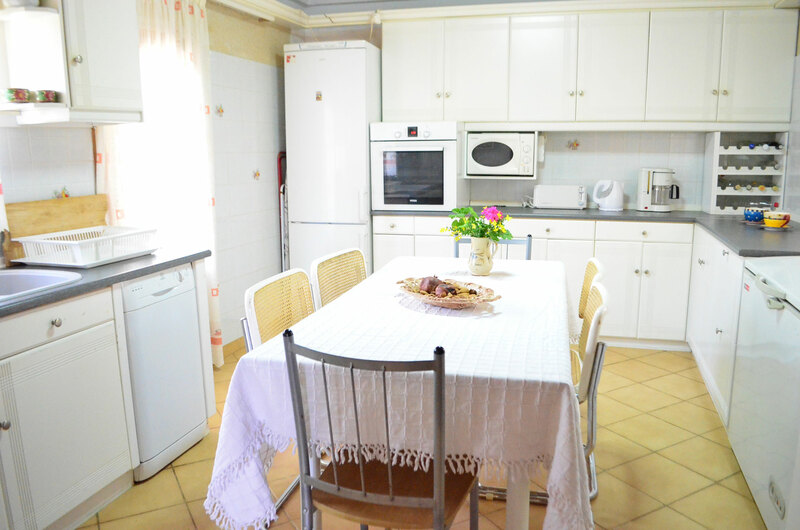 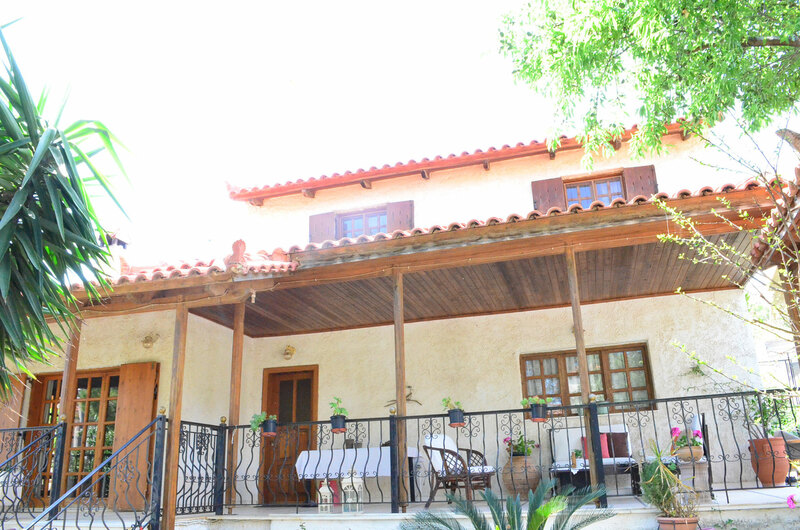 This beautiful cottage is perfect for quiet vacation, for 2 couples or families with children, as it’s very close to the numerous beaches of the area as well as to supermarket, bakery, grocery, pharmacy, etc, (all in a range of 500m). 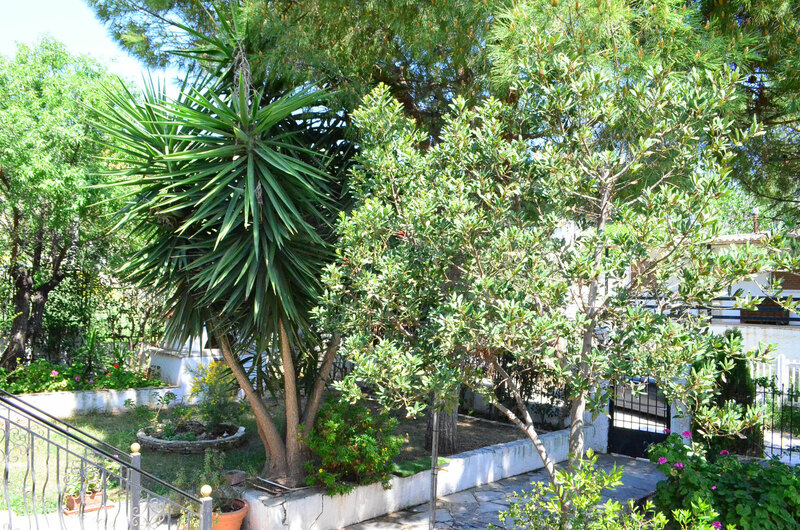 Surrounded by a great garden with tall trees is fully isolated from the street and the neighbor properties. 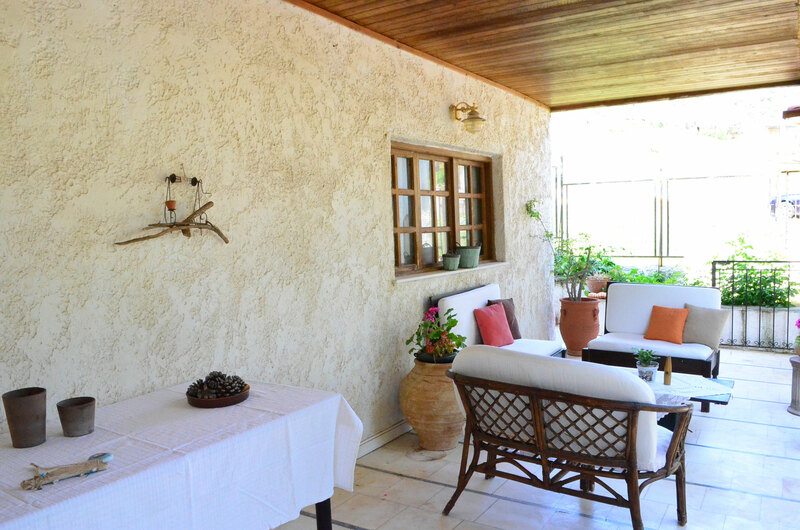 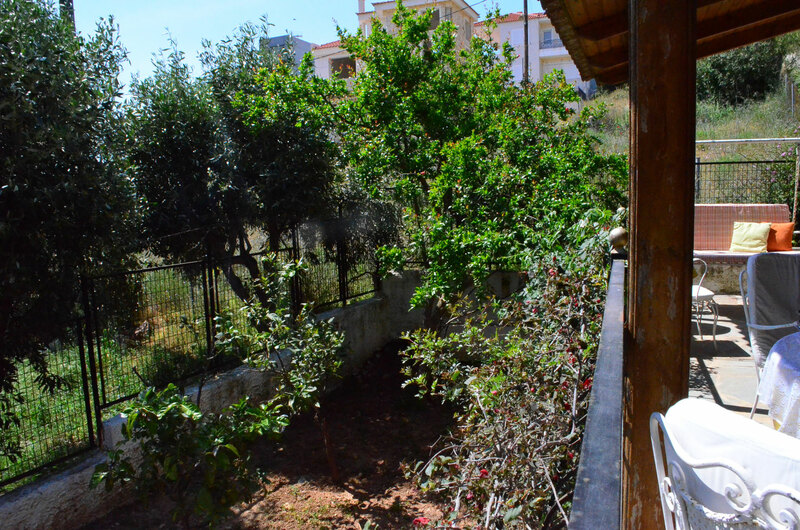 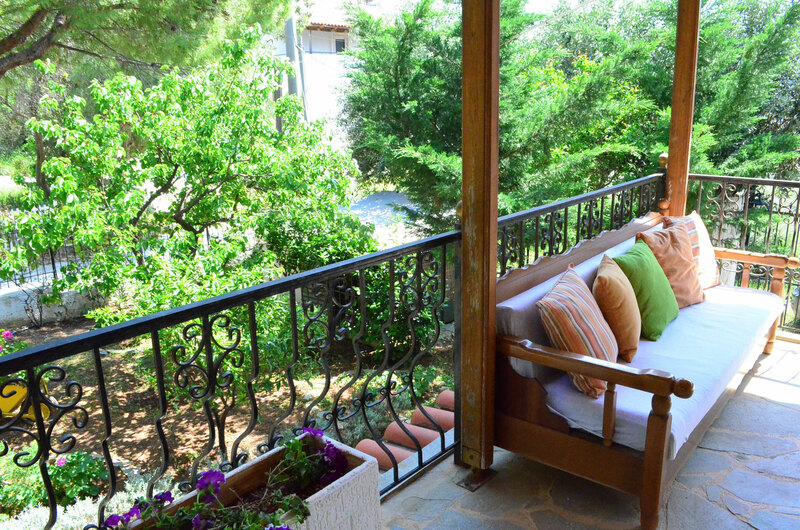 There are balconies verandas and patios all over the house in proximity with the garden. 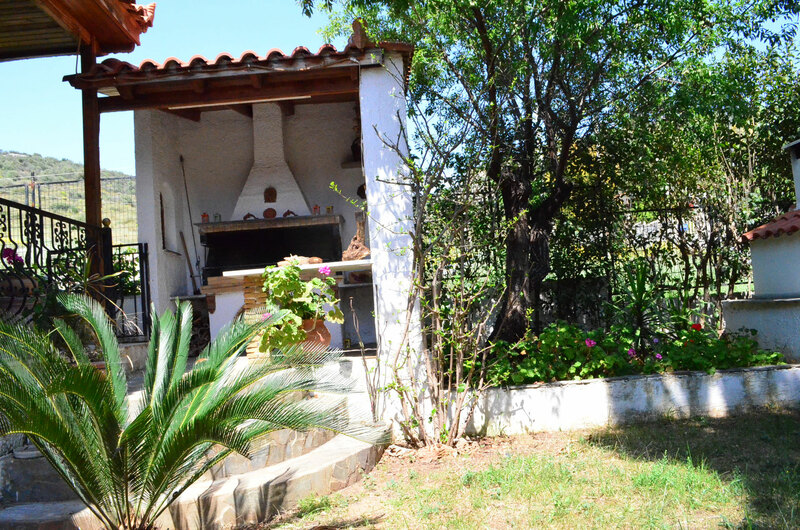 Porto Rafti is one of the most popular vacation areas for the Athenians as it’s just 40 kms from the center and 15kms from the edge of the city. 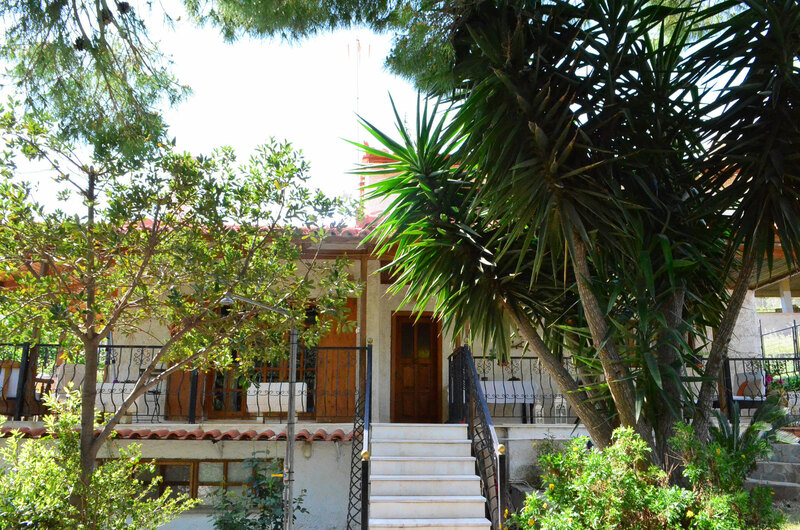 The place is full of restaurants, fish taverns, bars, pubs, nightclubs and all kinds of nightlife. 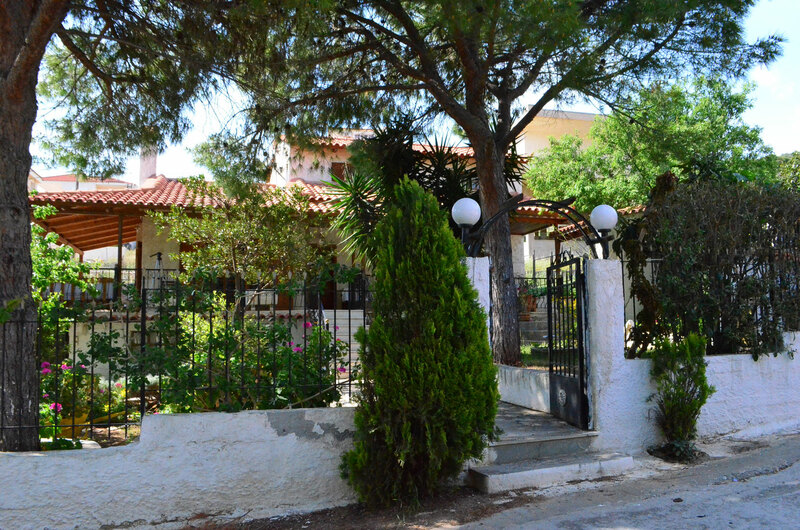 The house even if it is very close to everything, it’s also far enough from the action and the noise. 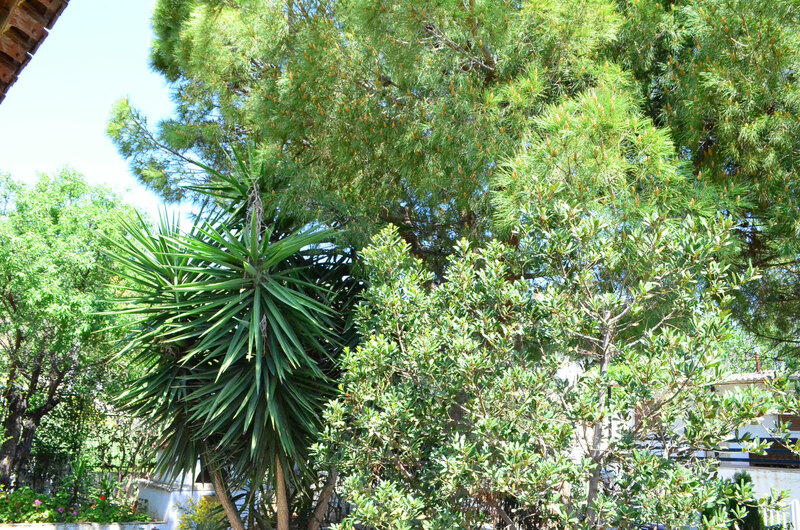 The neighborhood is extremely quiet. 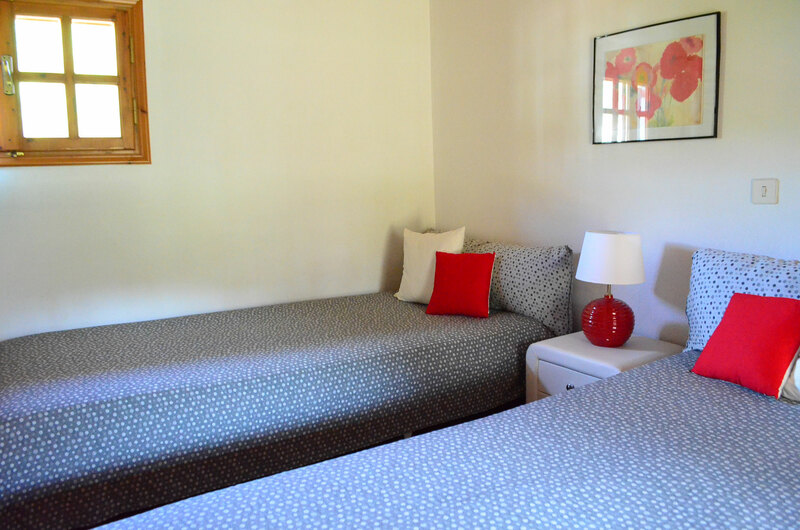 It offers 2 bedrooms (for 4 guests) and can accommodate 2 more guests in the double sofa bed in the living room and if necessary another 2 persons in 2 folding beds. 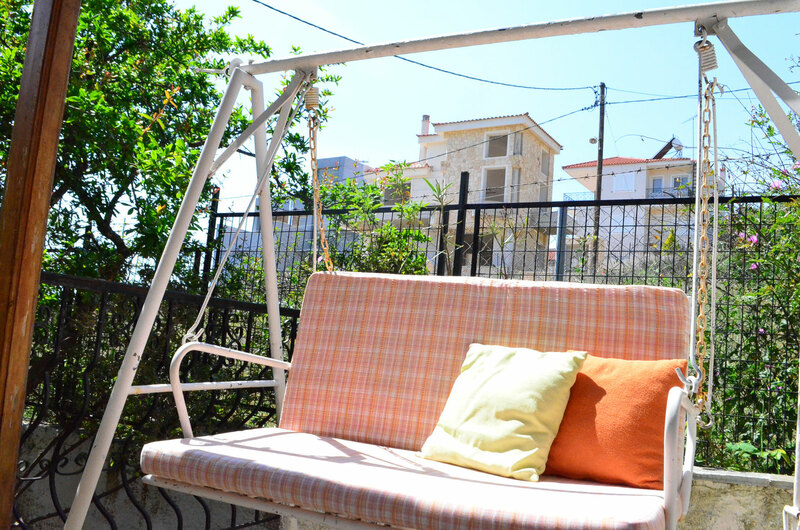 Baby crib available. 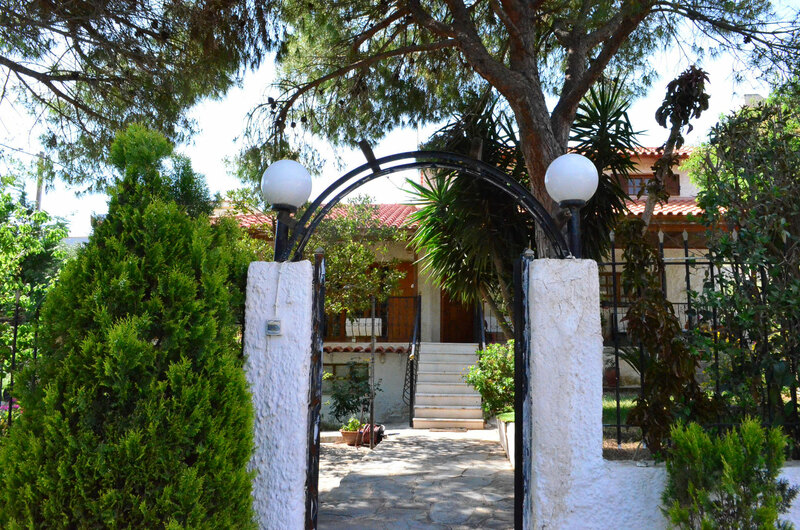 Car is not necessary, nevertheless it would be a great convenience, especially if you want to make short escapes to the numerous beaches of the larger territory (east Attica), the sites nearby, (Sounion – Poseidon temple) and of course the Acropolis the Old Town and the sites of Athens. 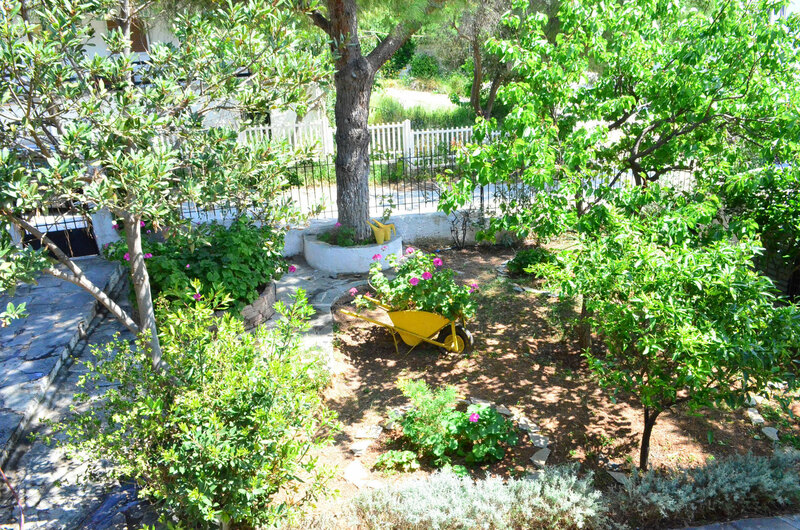 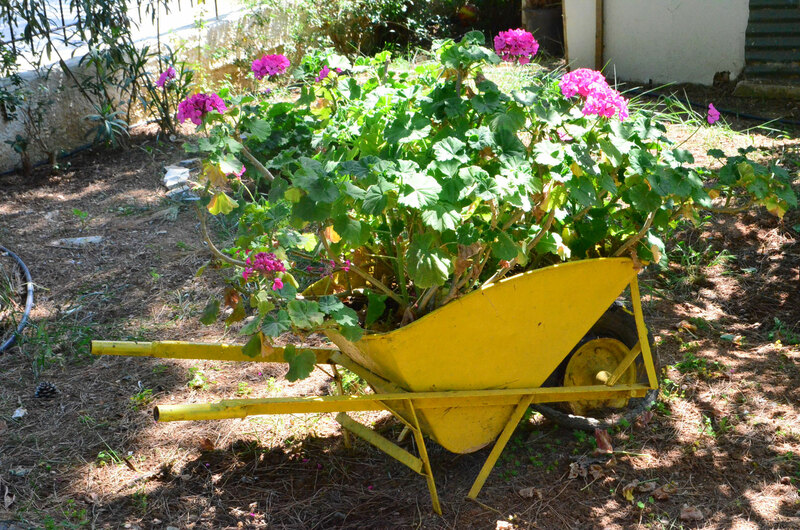 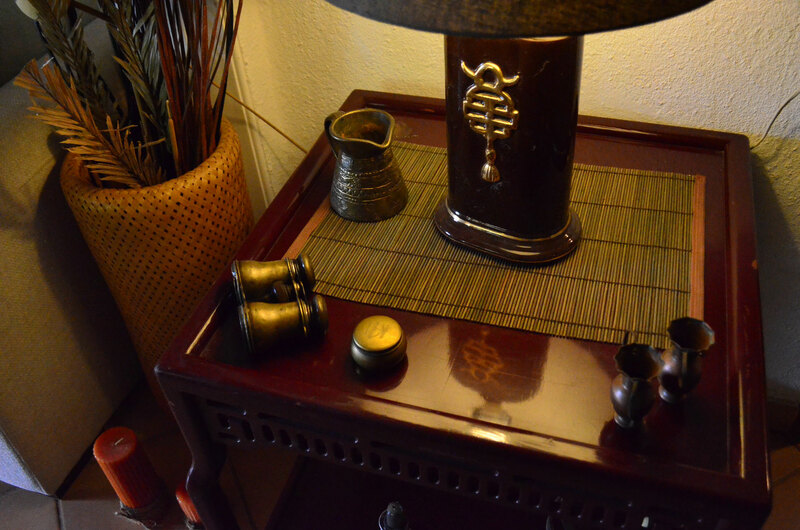 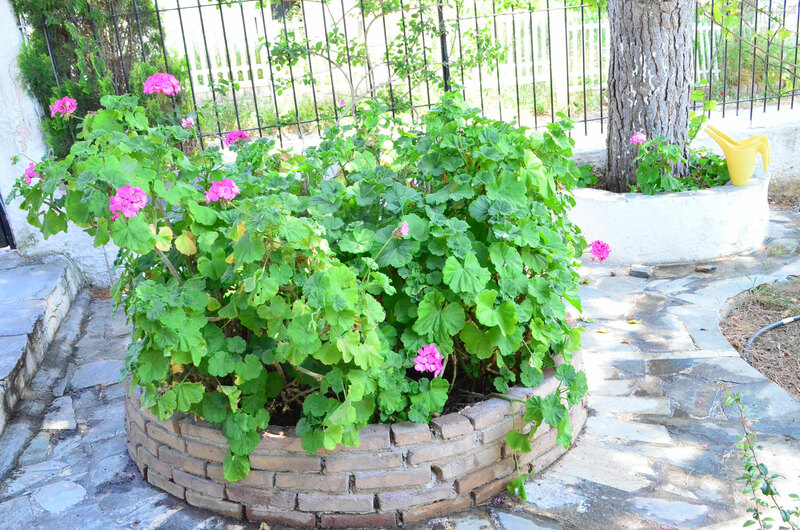 (*) Please water the garden during your stay. 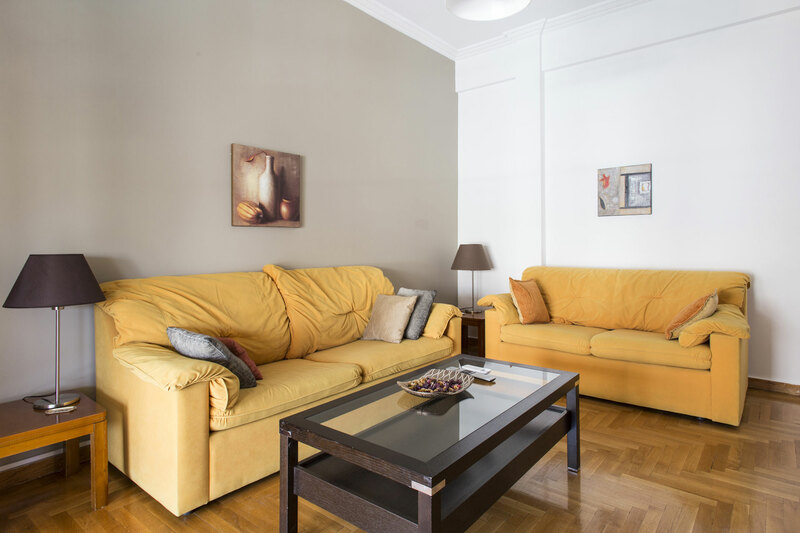 Living room: 1 king size double sofa bed – 150×200 – sleeps 2 persons. 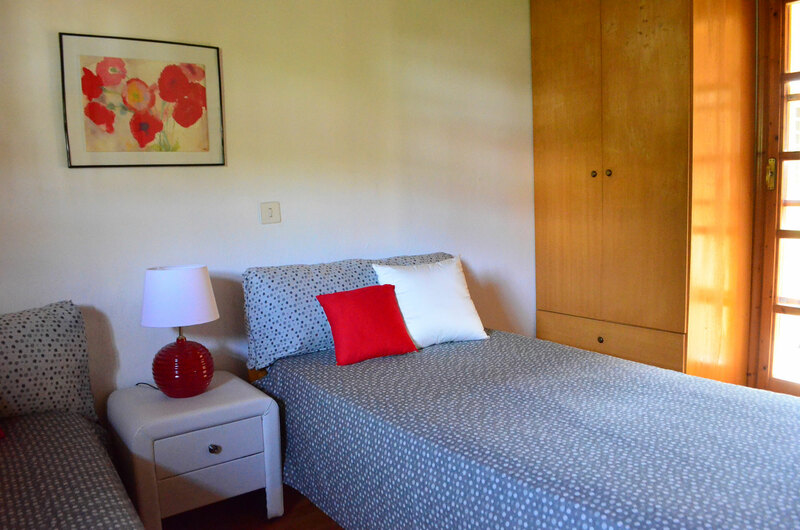 Anywhere: 2 folding beds – 85×190 – sleep 2 persons. 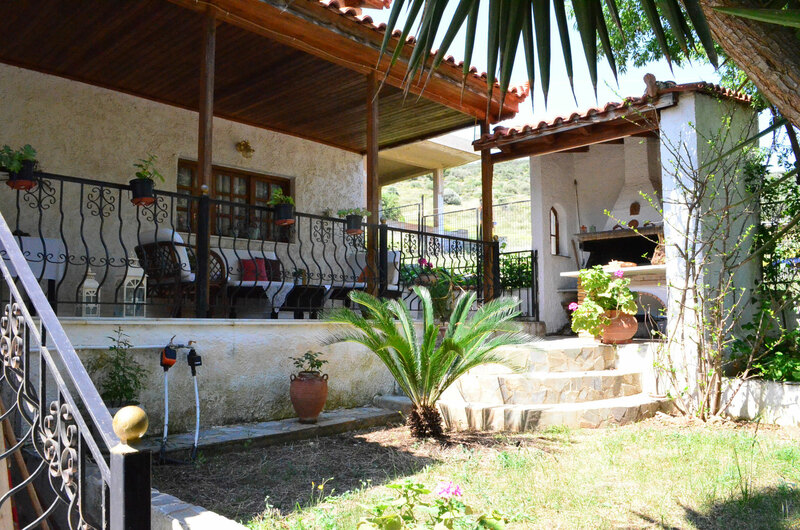 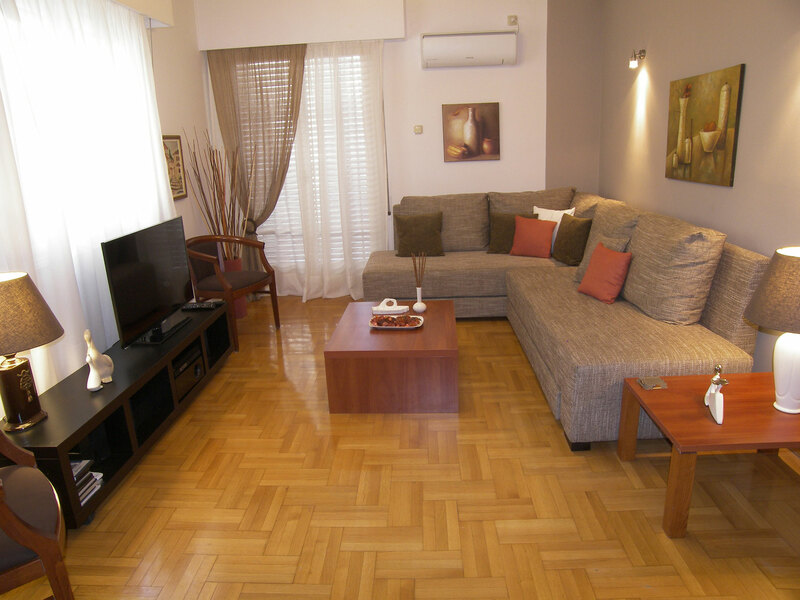 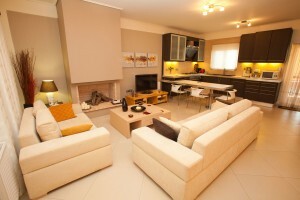 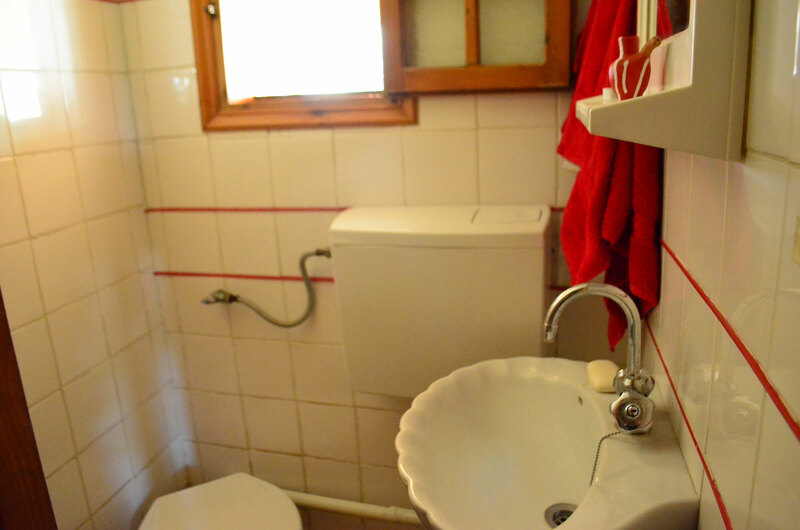 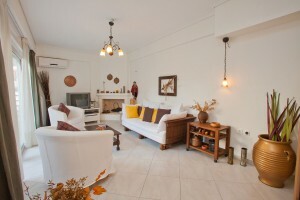 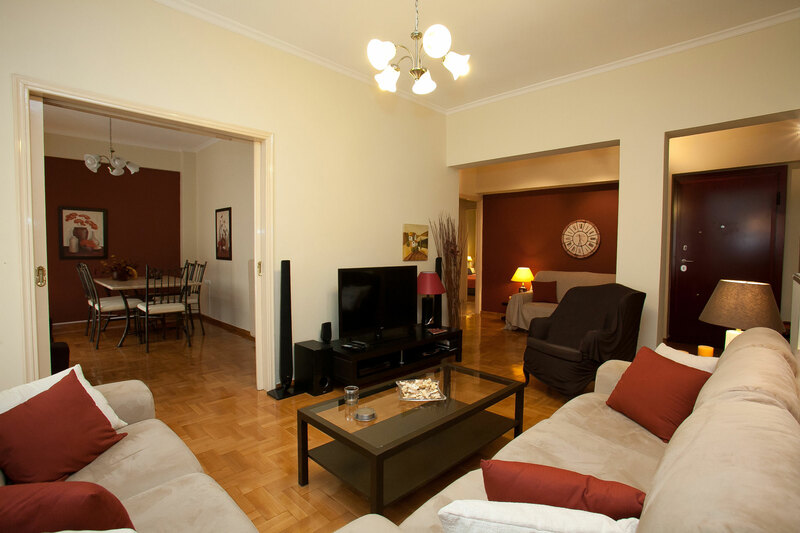 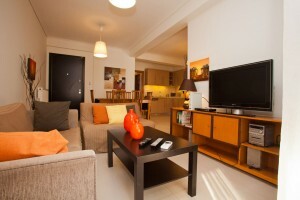 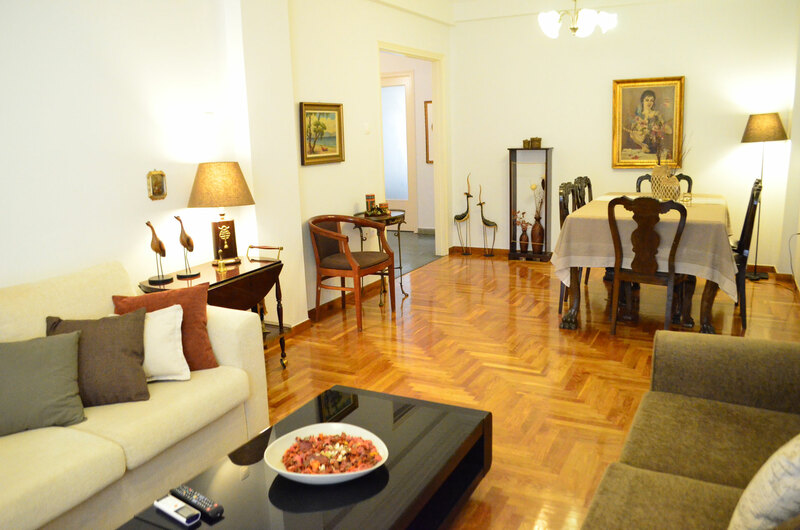 This property is offered for minimum stay 7 nights, unless if there is a gap for less than 7 days. 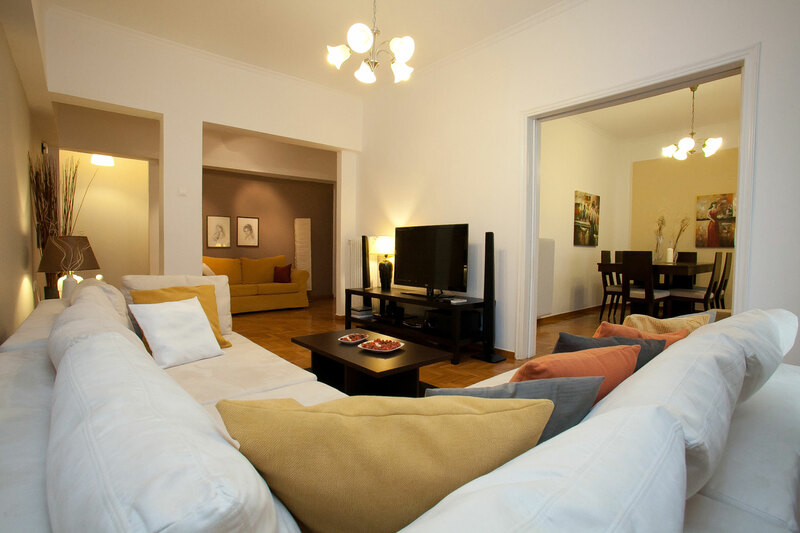 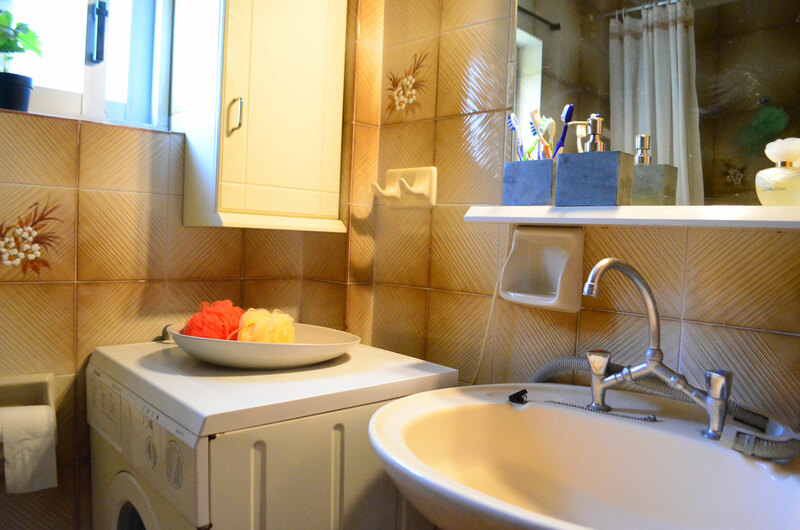 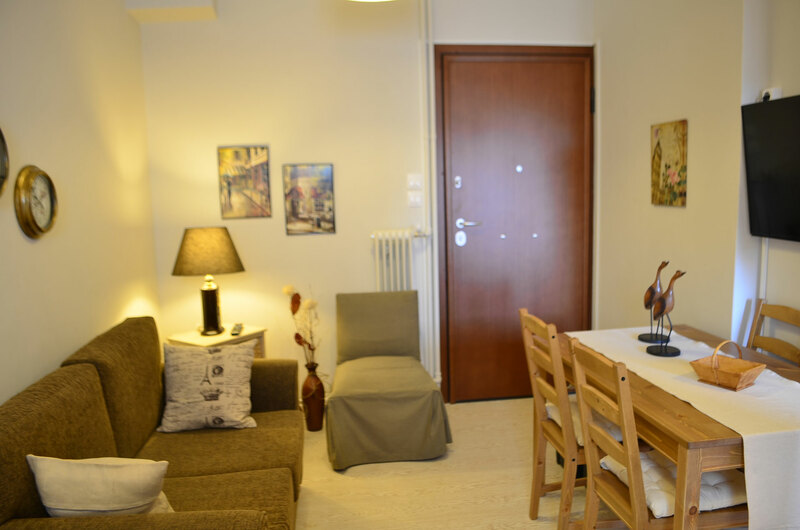 Security Deposit – Caution: Security-Damage deposit is required (refundable within 48h after check-out – depends on number of guests and duration of stay – min 400 euros).